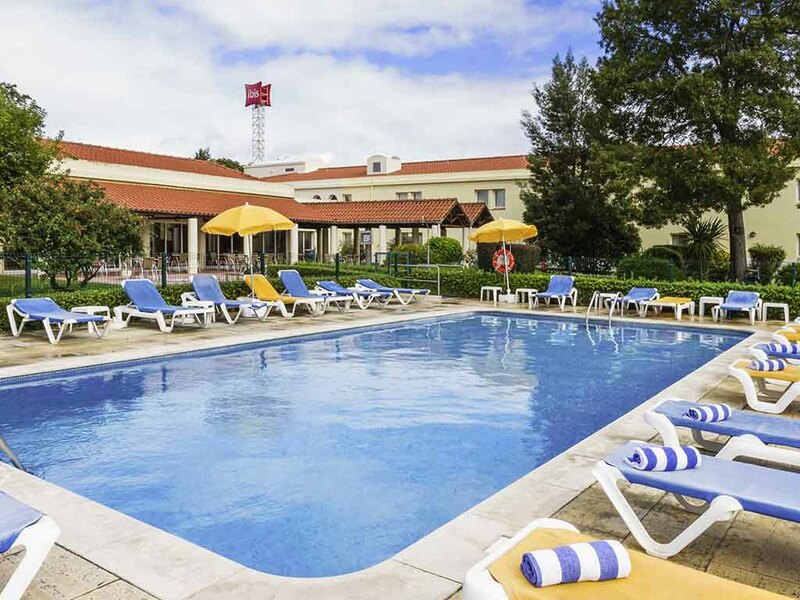 This comfortable hotel in Setúbal is located close to picturesque surroundings, such as the Arrábida mountain range, the Sado River estuary and the Tróia beaches. Our modern and air-conditioned rooms are perfect for rest and relaxation. At the Hotel ibis in Setúbal guests can also enjoy WIFI access, 24-hour bar and snack service and private parking and terrace, in addition to a fantastic outdoor pool. Our two fully equipped meeting rooms are ideal for hosting both meetings and events. Located 15 minutes from the Serra da Arrábida Nature Reserve and beaches on the Tróia and Arrábida peninsula. It's a nice place to stay with kids. Warm and good service. Spacious Space. Kids loved it. Stayed many times always good, friendly people. Good value for money. Really good breakfast with a lot of choices. Our family of 6 were split across 2 rooms that were close but not interconnected. The rooms were quite cramped but clean and okay for one night especially given the low price. No free tea-making facilities. Room decor could do with a refresh. Door holder on floor in room was poorely positioned with both me and wife banging foot during the night. More tourist information on local area should be made available. All staff members we came across were friendly and helpful except for one member of staff who appeared to be doing a favour rather than providing a service. Do not remmeber his name. Stayed there a lot, clean and very friendly. I stay there regularly and have never had a complaint. No elevator, it´s hard for eldery people to take the bags to the first floor. No help was offered. You should consider having an electric car charging point on the car park. I booked 2 rooms for 2 nights in this Ibis Hotel. I arrived late (around 1 A.M.) but the check-in was very fast and in no time I was sleeping in my bed. Bed was very comfortable, the room was spacious (I've been in Ibis hotels with cupboard size rooms), toilet was clean and you could move around inside it without problems (only issue was that the toilet door didn't close properly). The breakfast served don't have a huge selection of items but the selection provided has good quality and I believe the price is fair for what is provided ( I've stayed in other Ibis with less quantity/quality and paying more!) Unfortunately, although I was planning it, I didn't had the time to enjoy the outside pool that this hotel provides. too far avay from everzthing!